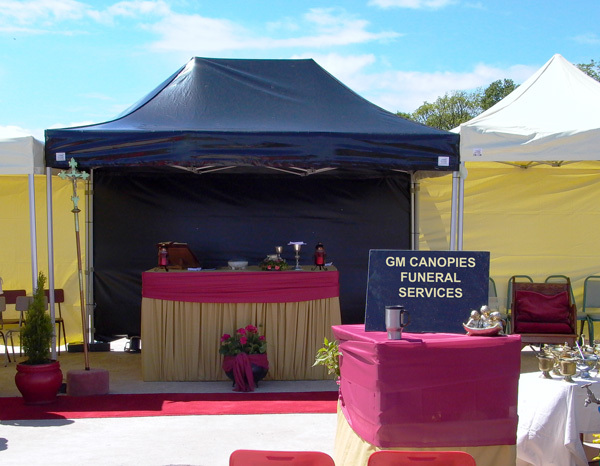 GM Canopies provides multi purpose canopies for the progressive Funeral Director. 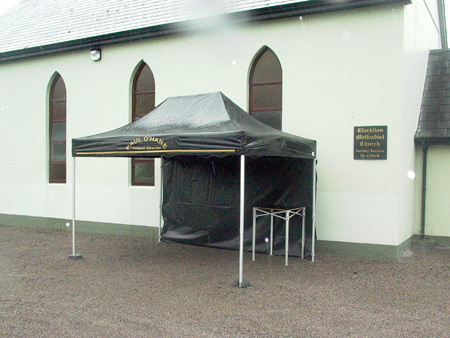 We believe that the provision of a quality shelter for bereaved relatives during inclement weather conditions is an extension of this service. 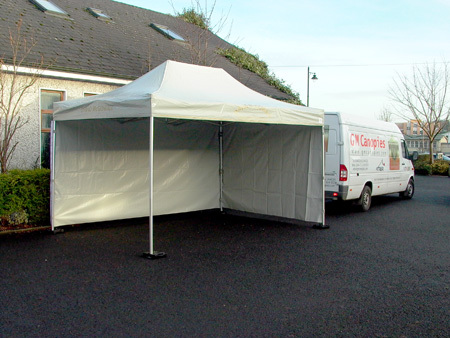 The canopies provide an ideal shelter outside the funeral home or wake house and at the burial. 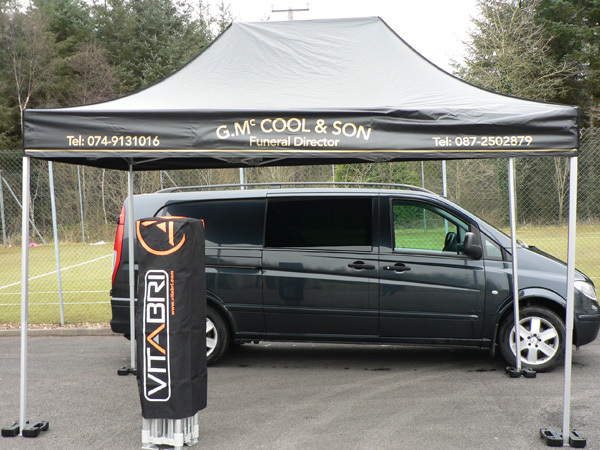 The canopy can also be used at Cemetery Sunday or Graveyard Dedication Services.